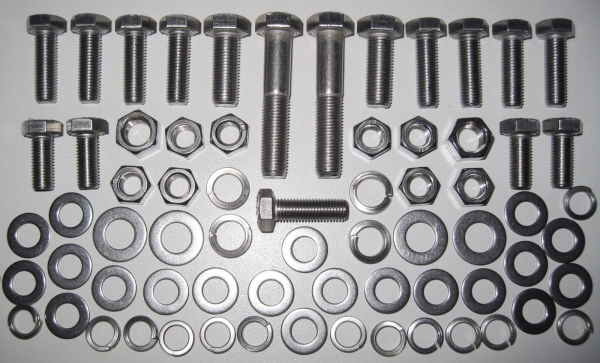 Grove Components' Midget/Sprite Rear Bumper Fitting Kit contains the A2 stainless threaded fasteners and washers required to fit the Front Bumper. Overriders, Lamp Bracket, Bumper and Spring Bar to Mounting Bracket. NOTE This kit does not include the spacers.